RE60 will be built at Bajaj's three-wheeler plant in Aurangabad with initial capacity of 200 units a day. The firm plans CNG and the LPG variants soon. 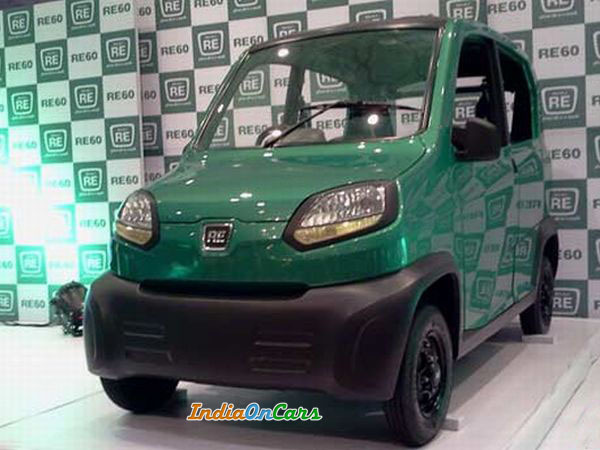 Bajaj Auto spent nearly four years in developing the RE60, that has a top speed of 70kmph, said company MD Rajiv Bajaj on Tuesday. The RE60 sports a rear-mounted 200cc petrol engine, boasts a mileage of 35 km to a litre of petrol and low carbon dioxide emission (60gm/km).